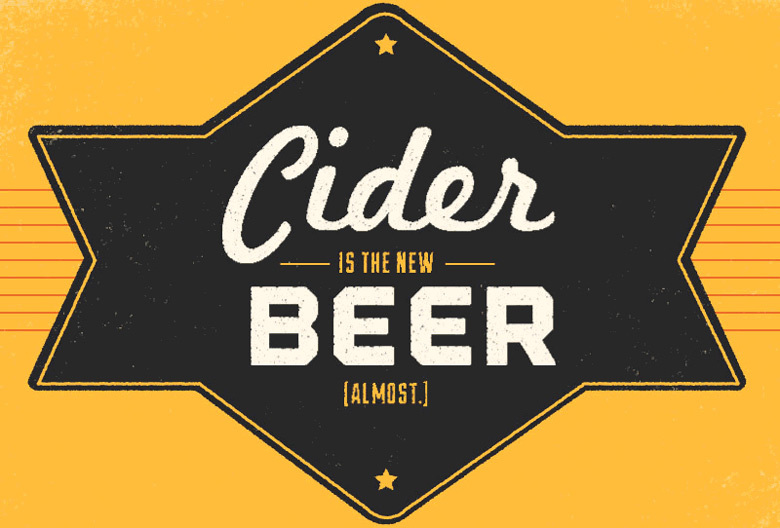 Infographic: Cider is the New Beer | HackCollege. Few bars offer more than one cider on tap and in the bottle. Even fewer offer more cider selections than beer. Until cider is more ubiquitous, it will not be the “new beer.” It may become the new fad or see a resurgence like microbrews are enjoying, but cider brewers (cidereries?) are hardly distinguished from microbreweries. Anectdotally, can you name 3 cider brewers off the top of your head? How ’bout a random student on a college campus? Didn’t think so. We love cider here at Big Beef and Beer. We’ve first covered the CiderNationals in 1999, and long celebrated cider as our official Autumn drink. That was true until we discovered pumpkin beers. Since then they’ve been our preferred fall beverage. To each his own. We do, however, recommend ciders as transition beverage. Use it to ween your friends off of the urine based domestics, especially Bud Light, served everywhere. Use it to as a bridge to an expanded beer consciousness. Help them shed their preconceived notions and expand their taste horizons.